DETROIT (Reuters) - Tesla Inc Chief Executive Elon Musk raised hopes again on Thursday that he could ride to the rescue of a threatened General Motors Co car plant at the center of a political storm about auto jobs, and GM replied, saying the Ohio factory's fate depends on union talks next year. 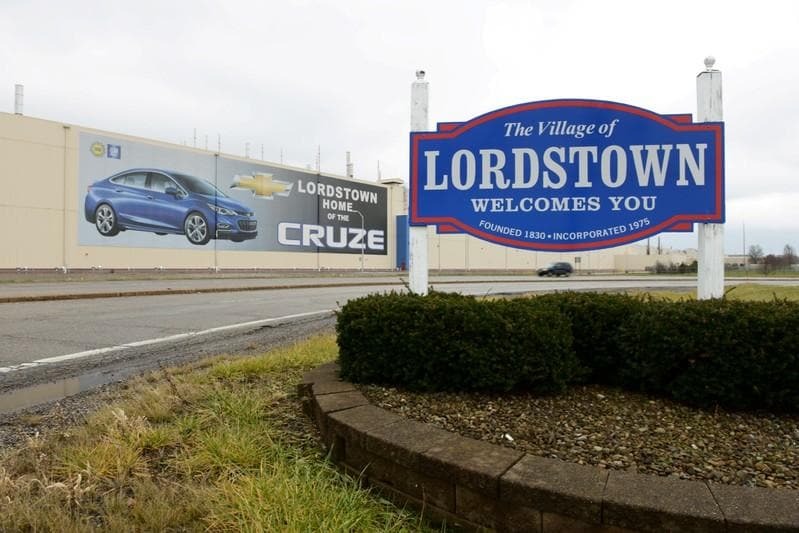 Musk suggested in a Twitter exchange with outgoing Ohio Governor John Kasich that he would consider acquiring GM's Lordstown small-car factory in Warren, Ohio, which GM has signalled it could close next year. The decision has prompted bipartisan anger in Washington, led by U.S. President Donald Trump. Musk had dropped a hint in an interview with the CBS TV program "60 Minutes" on Dec. 9 that he might be interested in buying one of the three North American vehicle assembly plans GM has said have no work allocated after next year. Tesla's sole assembly plant in Fremont, California, used to be a GM factory. The electric vehicle maker acquired the plant in 2010 for $42 million after GM and then-partner Toyota Motor Corp <7203.T> abandoned production there. Tesla has begun building a plant in China. Musk has had a tense relationship with the UAW, which is seeking to represent workers at Tesla's Fremont plant. The union in May filed a complaint accusing Musk of illegally threatening to take away benefits from workers who join the union.